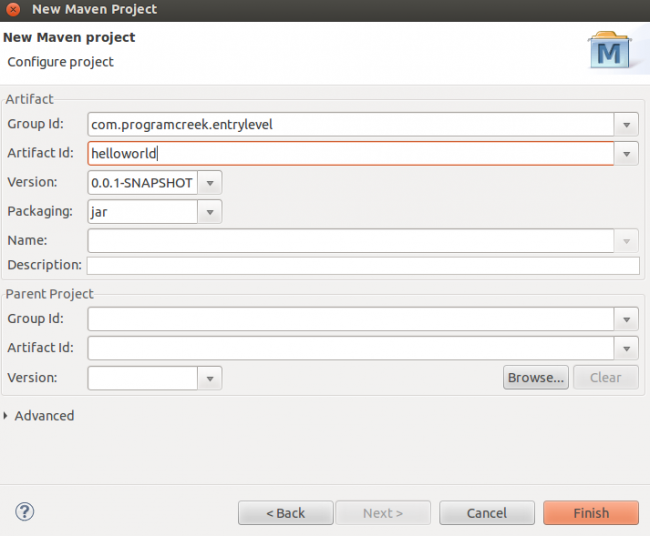 This article illustrates how to do a Spring Hello World by using Eclipse and Maven. 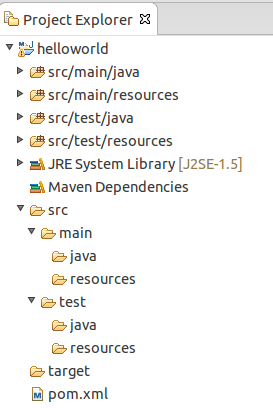 You should install eclipse and maven plugin first. 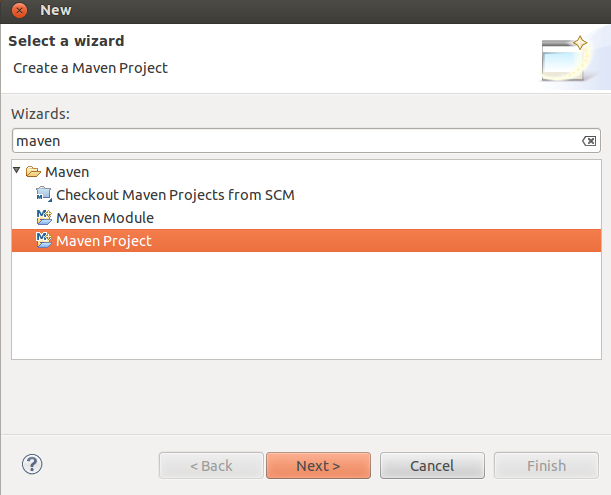 Create a Maven project by using the Wizard. GroupId identifies the project uniquely across all projects, so we need to enforce a naming schema. ArtifactId is the name of the jar without version. For more information about each field, check out the official page about maven naming convention: http://maven.apache.org/guides/mini/guide-naming-conventions.html. Create a bean configuation file named "applicationContext.xml" under src/main/resources directory. This xml file specifies the bean you will define in the project. Note the class is the fully qualified class name with the package. 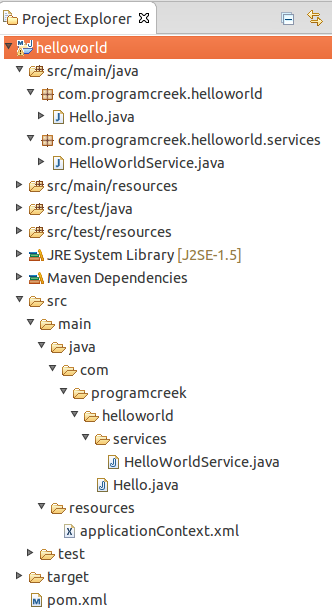 Create HelloWorldService Bean under /src/main/java directory. The package should be the same with how you declared in the bean configuration file. Create a Hello class under /src/main/java directory to test the project. This is a simple example that shows how to create a Spring project by using Maven under Eclipse. The key idea of Spring framework is Inversion of Control (IoC). IoC refers to the programming style where a framework or runtime, controls the program flow. Inversion of control means we are changing the control from normal way. There is a small mistake in this example. in applicationContext.xml to run this example. Thanks a lot ,this works exactly as you mentioned here step by step. 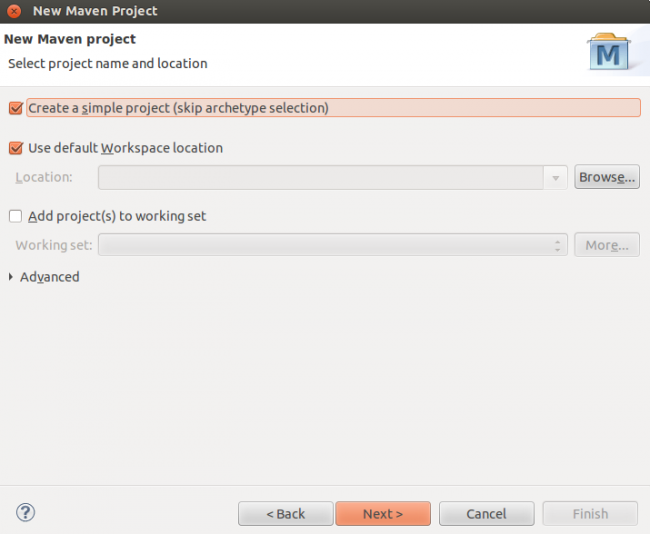 Saved much time to get a kick start with Spring maven project. The only difference is in source code view, actually I can see the package and classes in first view but not second view(explored view). Although this didnt stop from compiling and program runs fine with same output as you mentioned. I tried it with spring 4.1.4.RELEASE version. Thanks for helpful share. Cheers !